University: All of the SEPnet ones! Country: UK, from Gibraltar originally. Pick some letters (L,G,B,T,Q,+, etc. ): I’ll take a G and a Q.
I help direct the Schools’ Outreach and Public Engagement with Research programmes across all the SEPnet Physics departments. So it’s a bit of everything really! I manage a team of amazing Outreach Officers who deliver loads of events to all sorts of audiences across the region. We also do some work widening access to physics in schools. This involves bringing down the patriarchy, so keeps us busy! Together with the Officers we consult on projects which involve researchers working with different communities throughout their research. My career path is a meandering one! After doing my A-Levels in the Boys Comprehensive in Gibraltar and thanks to a grant from the Government of Gibraltar I did a Maths & Physics degree in York. After this I wanted to be a proper grown-up so became a transport planner for a few years. That was interesting, but really not me… I ended up doing a Masters in Theoretical Physics in Imperial (thanks Mum & Dad for helping out with that) and got on a PhD programme in Portsmouth in Cosmology. There I realised I wasn’t a great researcher but had other skills which were important to roles in Outreach & Public Engagement, so got some experience doing my own events while completing the PhD. This led to a job as Outreach Officer for the Institute of Physics in the Physics in Society team. Then ended up in this job! So much! 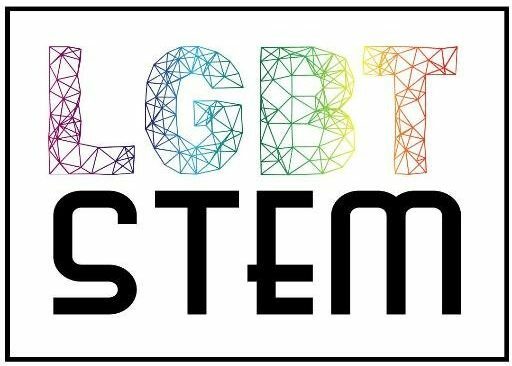 STEM was a safe place for someone who was closeted, so that definitely played a role in why I chose it. I didn’t come out until the final year of university. My sexuality fed my ambition to leave Gibraltar and then York, wanting to move to a big city where the gays were. Then found the gays and nearly failed my Masters (so many stories to tell…) so decided to do a PhD in a quieter city! I came out to my best friend in physics in my final year of my undergrad on the same day she told me she was a lesbian. We then told the rest of our classmates. Tip, don’t lead with “We have something to tell you” as everyone assumed we had hooked up! 😛 It went well. As a transport planner I got told I had to pass for a straight person for the clients, or else I wouldn’t be considered for promotion, so a piercing was out of the question. Luckily I was on my way out! Within two weeks of getting to London and starting my Masters I got my piercing done. It is still there as a reminder not to compromise myself for any job. On the first day I met a fellow LGBT+ classmate within like three hours! Then in Portsmouth we had an office that was gay men and women, with one token straight guy! There are loads of LGBT+ folk working in Outreach and Public Engagement so thankfully feel very comfortable when in conferences. I didn’t have access to science or scientists, so all my role models were fictional. Dr Reed Richards from the Fantastic Four is such a role model, I mean he has liked a million PhDs and explores the universe with his chosen family. Totally fancied him too… Then Dr Ellie Arroway (played by Jodie Foster) from the film Contact definitely showed me that there were careers in Astrophysics. Sadly no LGBT role models until I came to the UK. Does everyone in the UK have equal access to a physics education regardless of their gender, sexuality, ethnicity, socio-economic status, belief or disability? Are all research groups in physics considering how they can engage with wider society throughout their research? Sadly the answer is a resounding no for both. Therefore I still have work to do.